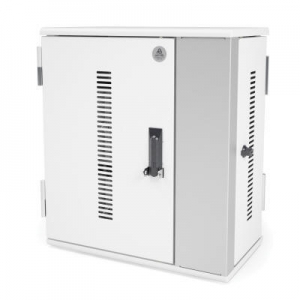 iPad and iPad mini Cabinets and Safes – The Netsafe-IPC was the first table-top cabinet to protect and recharge up to 20 iPads (16 in most standard cases), storing a MacBook or notebook as well. The Netsafe-IPCS added advanced syncing to iTunes or Apple Configurator as well. 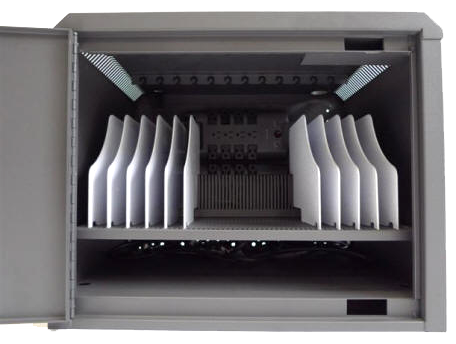 Another Netsafe protects and charges (or syncs) 8 iPads or tablets. 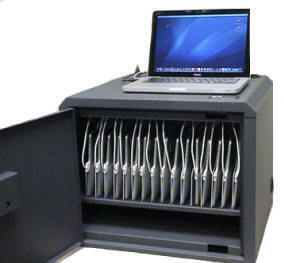 Now, there is a cabinet made for 7″ mobile tablets — the iPad mini, Kindle, Nook, Galaxy Tab, Nexus 7 and more: The NETSAFE7. Click here for more information. 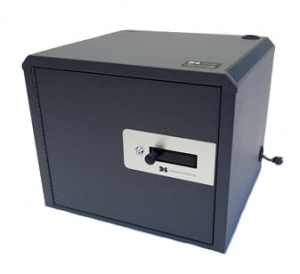 Safe and Secure: Secure and compact, these Netsafes are perfect for classrooms, libraries and training facilities where multiple iPads or minis have to be protected and charged. 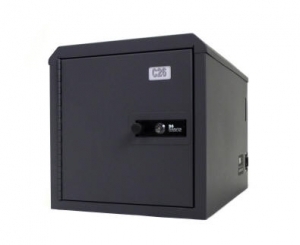 They have the most secure locking mechanism, the hallmark of all Datamation Systems products. And they are proudly made in the US. You work hard for your technology resources. 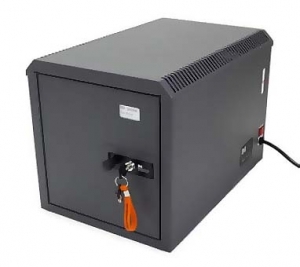 You might as well protect them with a real level of security, something provided by Datamation Systems carts and cabinets. All Netsafes plug into standard wall outlets. 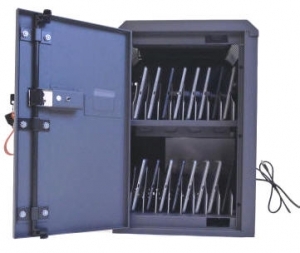 If you keep your iPads or minis in protective cases, Netsafe dividers can be adjusted. Even the thickest cases we have seen will allow the storage of 16 iPads. (Not all carts and cabinets can say this.) And some models provide a shelf for a MacBook or other computer.